Beautifully maintained and tastefully decorated 3 bedroom Ranch located in a very desirable neighborhood and school district. 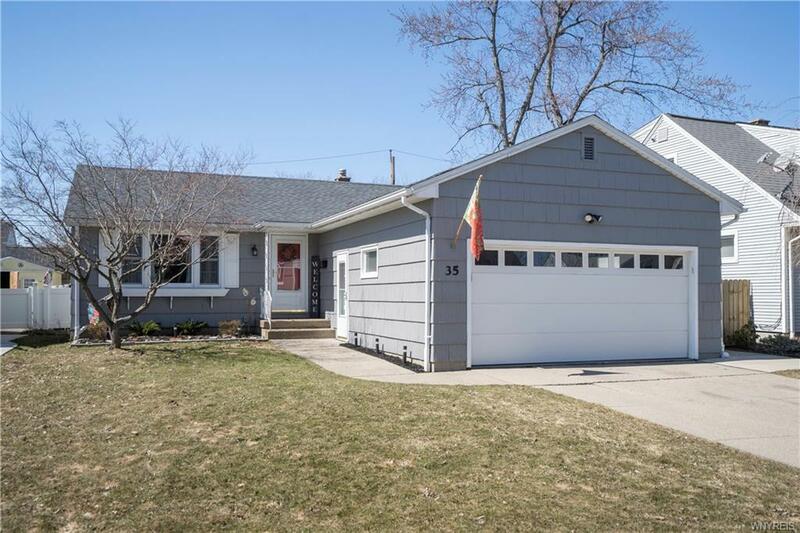 This home features a newly remodeled bath, updated kitchen with an island, quartz counters and pantry. Nice open floor plan, gleaming hardwood floors throughout, and freshly painted interior and exterior. Enjoy the additional living space in the partially finished basement which is already plumbed for a second bath! Brand new roof, landscaping, large concrete patio and hot tub. This property even offers a fully fenced yard, 2-car attached garage and shed.